This is a review that I’ve wanted to do since the last meeting of the Marine Aquarium Conference of North America (MACNA XV), in Louisville, Kentucky. At that conference Morgan Lidster of Inland Aquatics made a very important presentation titled, “Cultured Marine Ornamentals, 2003.” Other issues that needed timely discussion came up in the interval since MACNA XV, but I’m glad to have the opportunity to inform you of his information gathering now. Lidster has been involved in the ornamental mariculture industry since the early 90’s, and is currently maintaining a large facility in Terra Haute, Indiana. 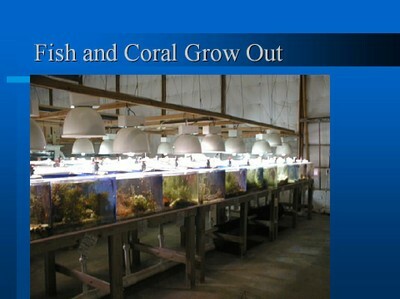 (http://www.inlandaquatics.com/). 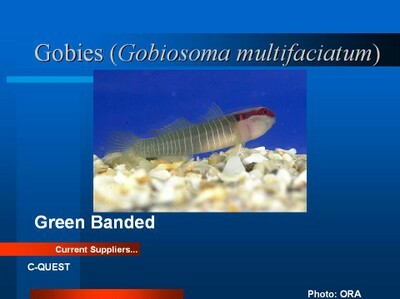 He currently acts as a clearinghouse for available cultured fish and non-sessile invertebrates, supplies broodstock to mariculture facilities and cultures a number of organisms other than fish. 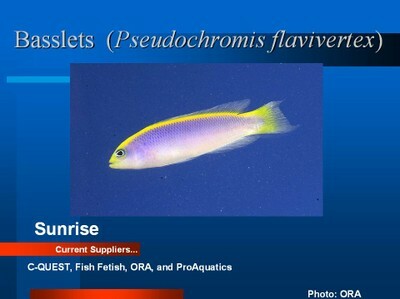 These statistics not only alarm conscientious aquarist, they contribute to the poor reputation our hobby has among conservation and fisheries management groups. How can we justify taking these fish from the reef if a substantial majority of them are essentially doomed? 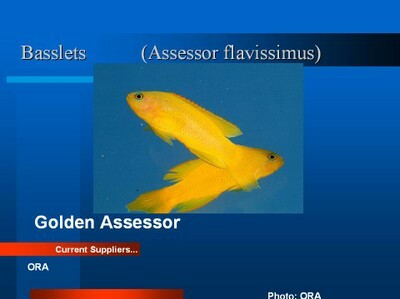 To the extent that we can encourage aquarium culture and aquarium breeding of important ornamental species we can provide and obtain fish with a far higher likelihood of adjustment and survival in our tanks, while at the same time repairing our reputation. In this light, Morgan Lidster’s work to assemble information on cultured aquarium species is an important step forward. He started by stating that although there is a wide and continually changing variety of cultured ornamentals available, little information has been made available to hobbyists about them. This makes it unlikely that “information empowered” aquarists will request or demand cultured specimens and will understand the need to support and promote both mariculture efforts and the distribution of their products. 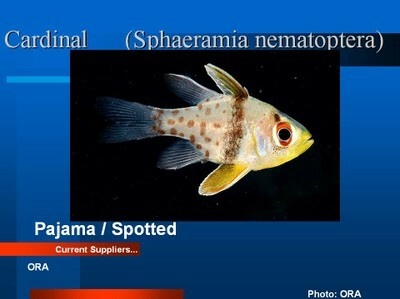 He chose to emphasize the available fish and non-sessile invertebrates rather than focusing on coral propagation. A list of suppliers and their contact numbers will be provided at the end of this column. As noted, the number and type of species available is constantly changing. Contact suppliers for up-to-date lists. Lidster organized his listing of cultured species by dividing culture successes into three periods. In the first period, breeders like Martin Moe, Frank Hoff, Chris Turk and others produced “pioneer species” more than 30 years ago. Like many such efforts, these largely proved unprofitable for the pioneers. Nevertheless, these species have remained more or less in constant production ever since. 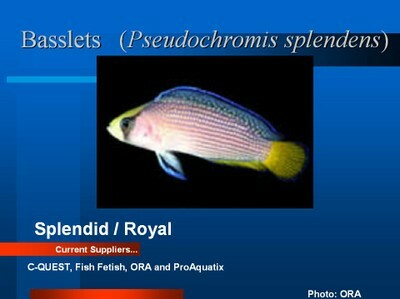 Next Lidster lists a group initially raised 10 to 15 years ago, largely by C-Quest and Aqualife Research. Bill Addison’s work during this period was particularly important. A. ocellaris (“Tangerine”) Inland Aquatics. 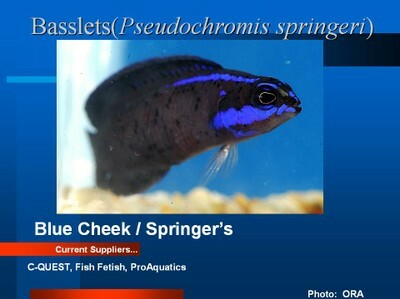 A. percula (“Onyx”) C-Quest, Inland Aquatics. Marine Betta – Callopesiops altivelis ORA, ProAquatix. Puffer – Arothron meleagris ProAquatix. Lidster concluded by pointing to future goals and major obstacles. 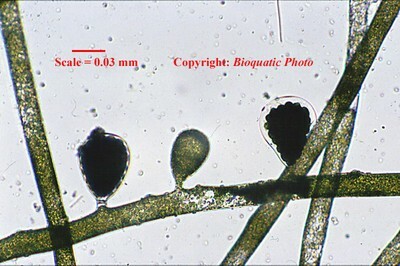 First and most importantly, successful commercial mariculture in all its forms will ensure that our hobby has a future. The major obstacles to the achievement of this goal are significant. Overhead and other costs present major economic obstacles for producers. Aquaculturists may be highly skilled at breeding and rearing animals and passionate about these activities but they seldom have the same skill and enthusiasm about marketing and distributing them. 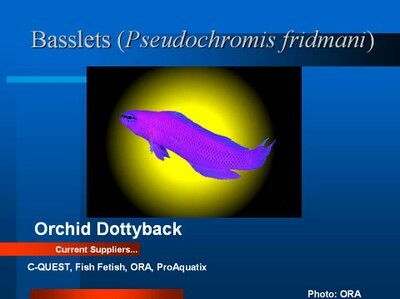 (This is not a problem for breeders of ornamentals only. In my experience working with commercial producers for food fish species, marketing skills are their weakest point also.) Here is where the end-point consumer, the aquarium hobbyist, must play a more active role. We must encourage our LFS to provide cultured organisms – even demand that they do – and we must be prepared to pay a premium price for these specimens. Our reward is that we acquire organisms withmuch better ability to adapt successfully to our tanks and to survive over a period of time that corresponds to their natural life span.